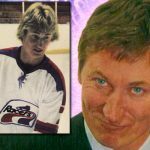 “Kings Ransom” starts with Gretzky driving his car, pulling into a lot, parking, getting out and walking to his destination — all in slowwwww motion — while he voices over his thoughts on his trade 20-something years later. Because, you know, slow motion and narration are so dramatic. 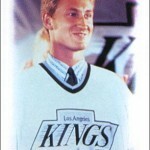 Gretzky then enters a darkened arena and looks around. But don’t worry; Berg quickly intensifies the drama by editing in quick flashes of Gretzky’s career highlights; a second here, two seconds there, along with the finest television static and generic goal-horn sound effects money can buy. At this point, I knew that this was going to be a long 53 minutes. Fortunately, “Kings Ransom” doesn’t just consist of Gretzky walking around in a darkened stadium. 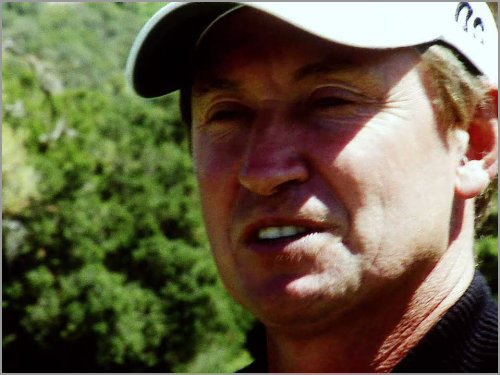 Berg and Gretzky are shown at the driving range, hitting golf balls, palling around and talking about how much Gretzky loves living in L.A., but at the same time knows he would have won more championships had he stayed in Edmonton. Duh! 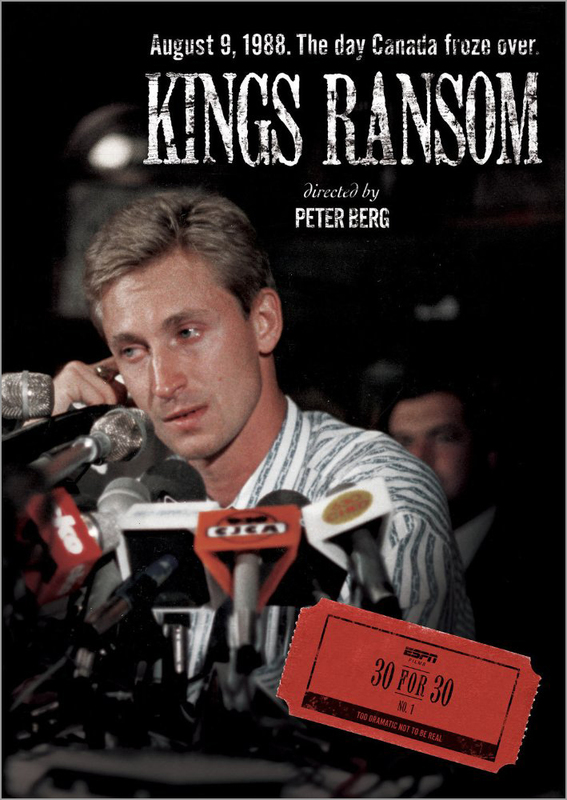 Perhaps the strongest part of “King Ransom” is that Berg spoke with the three most important people — besides Gretzky, of course — who were involved in this trade: former Kings’ owner Bruce McNall, former Oilers’ owner Peter Pocklington and former Oilers’ GM Glen Sather. Any documentary about “The Trade” would be severely lacking if any of those men were missing. Some rare footage of Gretzky’s marriage to actress Janet Jones is also shown, as their wedding happened not long before Gretzky was traded. Jones also speaks to Berg, offering her perspective while also stating (probably for the 10,000th time) that she didn’t have anything to do with her husband’s trade to L.A. Notably absent are Gretzky’s former teammates. What did Mark Messier, Grant Fuhr or Jarri Kurri think — then or now — when the best hockey player in the world was no longer going to be their teammate? 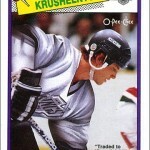 What about Marty McSorley and Mike Krushelnyski, who were also shipped to L.A.? 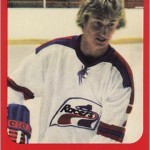 Or Jimmy Carson, who was a player the Oilers got in return (along with Martin Gelinas, money and draft picks). Carson, a former 50-goal scorer, felt a lot of pressure in Edmonton, as fans unfairly expected him to fill Gretzky’s skates. His thoughts would have added a dimension to “Kings Ransom” that other documentaries on “The Trade” don’t have. And that is probably the biggest problem with “Kings Ransom” — it doesn’t really tell us anything that we didn’t already know. Yes, the wedding footage is actually very interesting, as are the interviews with angry Oilers’ fans, as well as footage of celebrities like John Candy and Tom Hanks attending Kings games. Good documentaries are supposed to dig up footage that is not often seen, and “Kings Ransom” has an abundance of that. 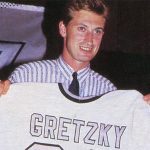 But Berg doesn’t explore some of the financial problems that Pocklington was dealing with that made him even consider trading Gretzky in the first place. Gretzky’s father, Walter, was also tipped off a few months prior that Wayne was going to be traded, but hid this knowledge from his son; I wish that angle was explored a bit more, too. Some titles tacked on at the end mention that hockey grew in California and that the NHL expanded from 21 to 30 teams. More of “Kings Ransom” should have highlighted how Gretzky’s trade helped to grow hockey in the U.S.
What I do not like about “Kings Ransom”: So…much…filler. 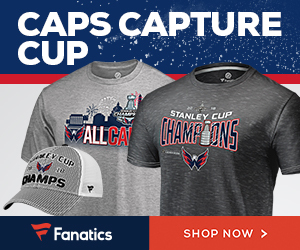 There are shots of Gretzky — or probably someone wearing a Gretzky jersey, since we only see him from the shoulders down — skating around the ice in slow motion, while a voice over narrates some point. Why not show some real footage of Gretzky here? Gretzky walking around the empty stadium and the time-lapsed footage of Los Angeles’ city scape all feel like attempts to add pause for reflection, or give moments of serenity, to contrast with the turmoil. Instead, they just made me bored. I mostly agree with you all you said. 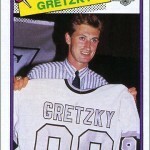 Being a Gretzky fan, I felt disappointed in the whole thing. Wrong director maybe? This doc was also the first “30 f0r 30” in the series, and the ones that came after that were much better, like “The Two Escobars” or “Pony Express” which had more oomph to them, and were longer, but didn’t feel like it. “Kings Ransom” to me was short and needed to include more ice footage and less golf. Also, some bits were repeated 3 times. If Berg could’ve taken that filler out and added more actual nourishment, it could’ve been longer and more enjoyable. Chalk it up to a “hockey-fan-rookie-sports-doc-director” fooling the ESPN brass into thinking that this doc was a “great one” because they had no idea it wasn’t. Kudos, however, go to ESPN for the fact they started off this intriguing/informative series with hockey, and not base/basket/football. It just got better after this one, and sad to say, “Kings Ransom was the sacrificial lamb. On another note, Happy 29th Anniversary to “THE TRADE” today! Although “Happy” might not be the right word. Bittersweet, more like it. I’d offer that the majority of ESPN viewers back in 2009 were not heavy NHL watchers and thus didn’t know the Gretzky trade story. They were offered the simple story of it. 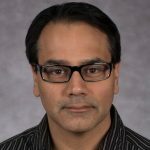 As a hockey fan, I was very disappointed by the doc. Having watched every 30 for 30 out there I can say (thankfully) that this trend didn’t continue. 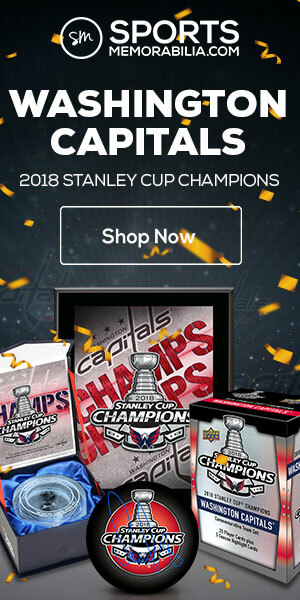 It’s fine for what it is…but as a hockey fan it definitely doesn’t dig deep like I would have wanted. Previous Previous post: Card of the Week: Howe Awful!